Be open to other locations outside Metro Manila. If you\\\'re thinking of launching or expanding your business, be open to other locations outside Metro Manila that are fast becoming the preferred option for business space. 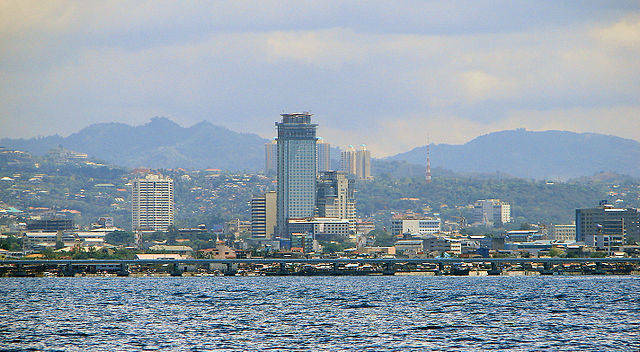 An area to consider is Metro Cebu with its vibrant economy and ideal blend of business and leisure facilities. Real estate services and advisory firm CB Richard Ellis Philippines (CBRE) is bullish on growth prospects for its real estate because of developments in the office sector—particularly with the growth of the outsourcing and off-shoring industry in the city. “Cebu is fast emerging as the preferred BPO and IT destination not only in the country, but also in Asia. This favourable business environment provides immense opportunities for growth in the residential market, and a synergy of opportunities across Cebu’s real estate sector,” said CBRE Philippines CEO and Chairman Rick Santos. This uptrend is seen to be sustained as Cebu has one of the lowest rental rates in the Asia Pacific Region and with approximately 103,146 square meters of gross leasable area of office spaces in the pipeline. This expansion in the office market is further driving residential condominium developments in Cebu. The influx of expatriates working in BPOs, business tourism, and subsequently, local demand has whetted the market’s appetite for high-rise dwellings and are observed to be moving closer from the fringe areas to Cebu’s business centers. The entry of major developers such as Ayala Land, Federal Land, Filinvest Land and Robinsons Land to in the Queen City of the South also reflects this strong demand. Increase in tourist arrivals and OFW remittances are seen to further support this demand for residential spaces. There are 8,082 residential condominium units for turnover in Metro Cebu in 2011, which is thrice the number of units in the previous year. The profitable high-rise residential market drove the costs of units up, with prices ranging from P70,000 to P105,000 per square meter in Asiatown IT Park district and at least P94,000 per square meter with certain three bedroom units breaching P150,000 per square meter at the Cebu Business Park area.